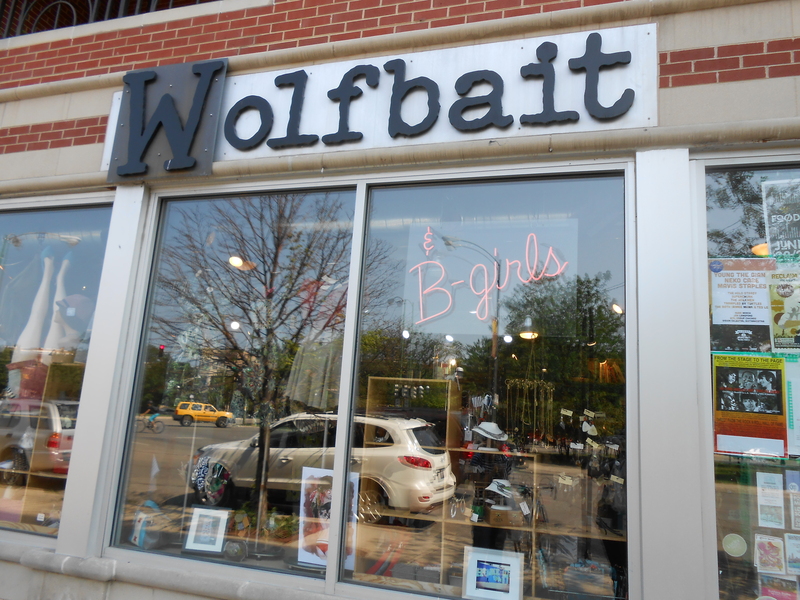 Wolfbait & B-girls is an independently owned shop in Logan Square located at 3131 W. Logan Blvd. The shop hosts locally made wares including clothing, accessories and more from over 150 different designers and artists. The shop is named after a title given to girls in the 1950’s who moved to the city in search of success and then what they sometimes became. When I went it was super hot out and it was nice to go inside for a bit to escape the heat, they have some cute clothes and some interesting things for sale.